It’s actually very tasty. Really. 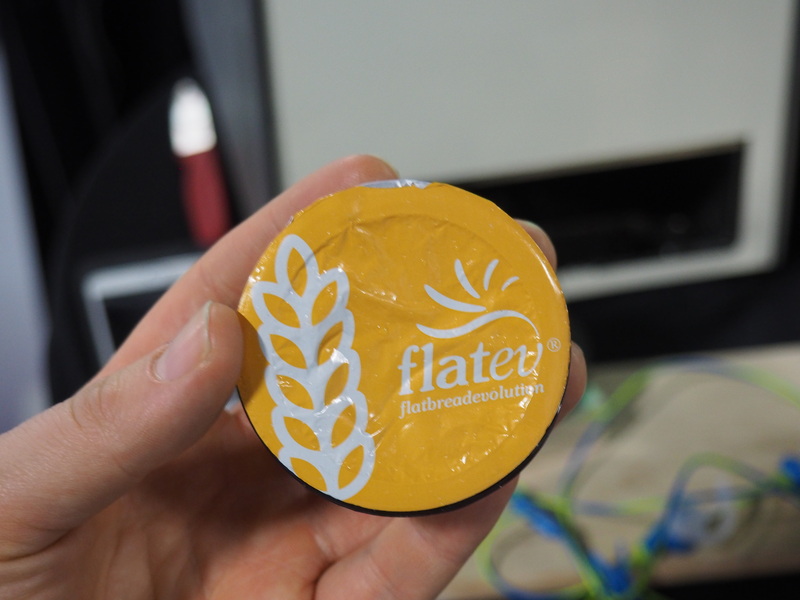 I certainly had my doubts, eating a tortilla that came out of a pod, but 90 or so seconds after Flatev co-founder and CEO Carlos Ruiz put the little Keurig-esque plastic saucer in the machine, a piping hot and legitimately delicious corn tortilla popped down into the warming shelf. I can’t say there’s really a place in my life (or my tiny New York City kitchen) for a $437 standalone tortilla maker. But I can say that the results are delicious. And there apparently are a lot of people who aren’t on the same page as me with regards to home appliances. As of this writing, the company has already scored an impressive $131,000 on Kickstarter. 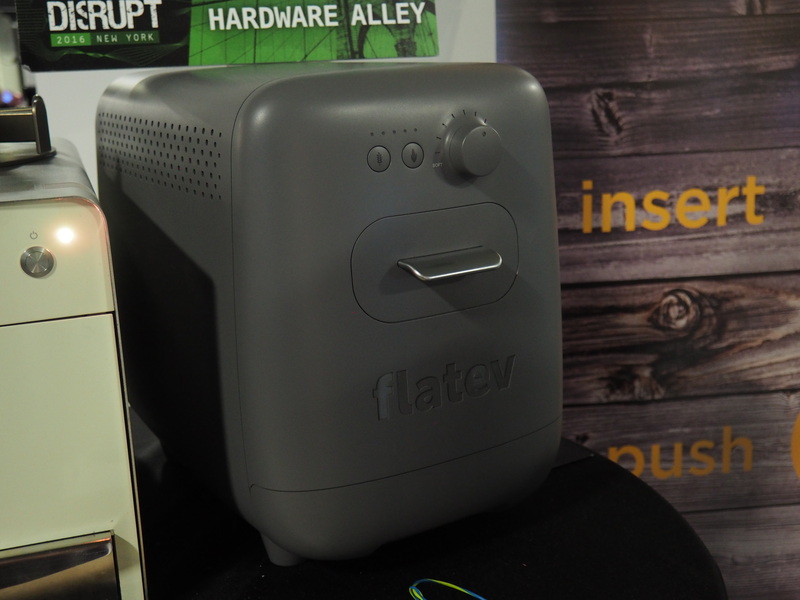 Ruiz came up with the idea for the Flatev back in 2010, and since then the company has scored two rounds of funding and teamed up with Fred Bould, a design firm that’s previously been employed by Nest and GoPro, to design the casing. Now the company’s a few days into a highly successful Kickstarter campaign and showing a working prototype today at Disrupt. The functionality is pretty straightforward. You pick a flavored dough pod (priced at around $0.70), put it in the drawer and the system goes to work. The dough is pressed and cooked in the middle of the machine and then dropped into a warming drawer where it sits until it’s ready to be consumed. The pods come in a variety of flavors — variations on corn and flour. Ruiz was quick to point out, unprompted, that the pods are fully recyclable, as the company got backlash against the potential for wastefulness almost immediately. The system has two buttons up top for toggling between corn and flour and a knob that lets the user determine how cooked they want their tortilla. The company expects to deliver its first units in August of next year. Beyond that, it’s hoping to branch out into even more flat-bread varieties, which is, incidentally, how Flatev (Flatbread Evolution) got its pithy name.